Pakistan is committed to implementing the decision of the International Court of Justice in the Kulbhushan Jadhav case, a senior Pakistani official said as the country's delegation left for the Hague on Friday for the oral proceedings in the case that will commence at the world court from February 18. Pakistan's Attorney General Anwar Mansoor would lead the Pakistani delegation at the ICJ while Director General South Asia Mohammad Faisal would lead the Foreign Office side, a senior official told Dawn. The English Queen's Counsel Khawar Qureshi will make submissions on February 19 from Islamabad's side. Then India will reply on February 20 while Islamabad will make its closing submissions on February 21, the daily said. "We are fully prepared with our strongest evidence being the valid Indian passport recovered from Commander Jadhav with a Muslim name, the official told the Dawn, adding that Pakistan was committed to implementing the decision, irrespective of what decision came from the ICJ. In reply to a question about Iran, the official said the Pakistan government was convinced that Iran had no role in Jadhav's episode though he remained there for some time. "India wants to drag Iran into this dispute but we will not let it happen," he said. "The oral proceedings on the International Court of Justice are commencing on February 18. India will present its case before the court. Since the matter is subjudice it is not appropriate for me to state our position in public.Whatever we have to do, we will do at the court," he said in response to a question. Pakistan claims that its security forces arrested Jadhav from restive Balochistan province on March 3, 2016 after he reportedly entered from Iran. 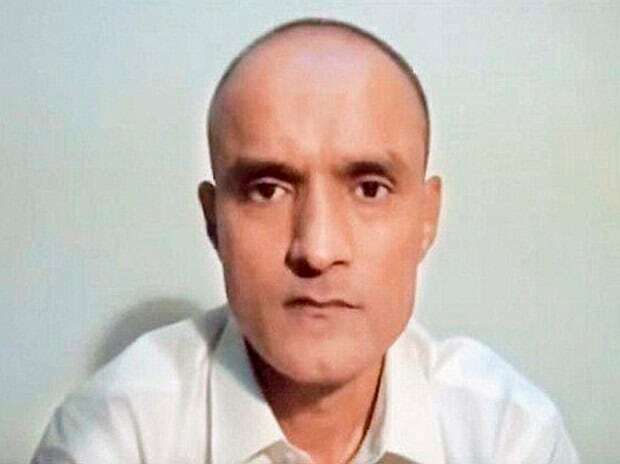 However, India maintains that Jadhav was kidnapped from Iran where he had business interests after retiring from the Navy. Jadhav's sentencing had evoked a sharp reaction in India.